This is actually my first design ever. 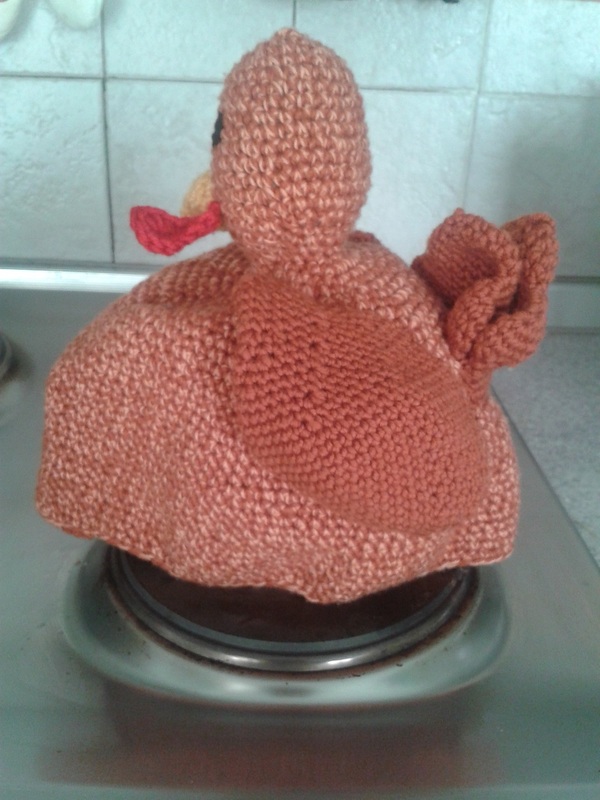 I made the same cozy when I was very ill at the age of 14. Back then crochet really helped me pull it through. I bought a crochet magazine, and it turned out to be the best one I ever laid my eye on. I still have it, all torn and worn out. It had several stuffed toys in it. 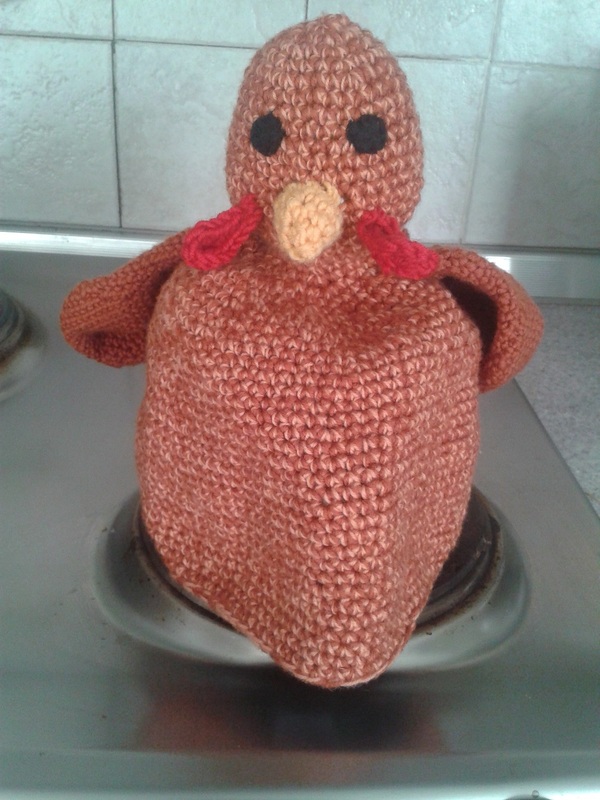 So I used elements from a rooster, changed a bit to make it look like a hen, and instead of toy body I made the cozy itself. It was really cute. I never thought of taking a picture. My mom had it for years, until it was damaged in some accident. Ever since I wanted to make another one. Finally, 18 years later it’s here! P.S. My mom has found and brought the original one for restoration – read here about it. 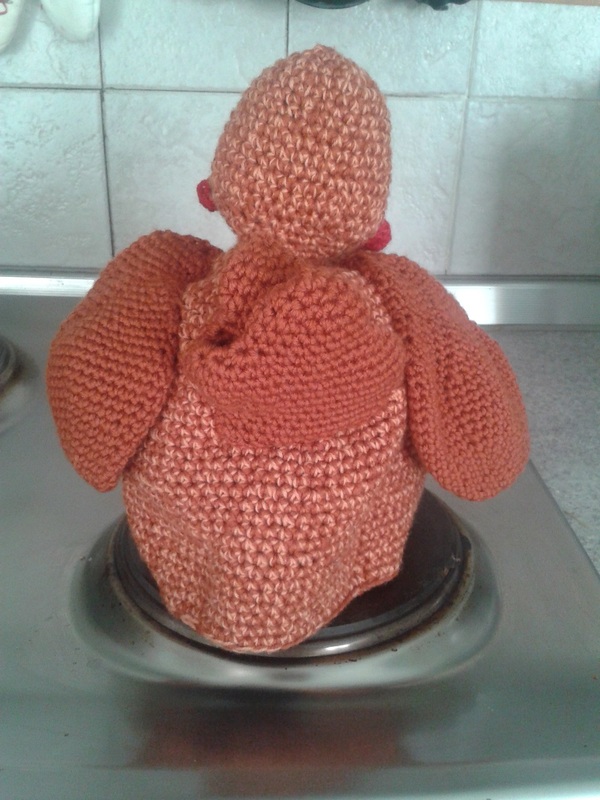 Separator image Posted in My kniting & crochet and tagged with cozy, crochet hen, teapot cozy. Leo to the power of 6th.